And so here we are now. I’m 42 years old, I have six children, my husband is a fiddler as well, we tour together. Now our kids are playing music, and then sometimes they come play with us on the show depending on naps and diapers and school time and whatever else might come into play. And how do I do it? I don’t know. I don’t really think I do it very well, but somehow it’s getting done. AM: Tell me about each of your children and their music. NM: No problem! I could talk all day. Our oldest is Mary Frances. She’s eight and she is a very capable little eight-year-old because she’s the oldest of six so she’s very good with the younger children. And she’s a good fiddler and she’s a good piano player and she takes dancing as well. Then Michael just turned seven a few days ago and he’s a real typical boy – rough and tumble and energy, energy, energy to burn. And he’s doing fiddle and piano lessons and dancing. And then little Clare. She’s our tomboy. She’s five and she’s a real tough little girl, and she’s full of joy. And she is taking piano lessons as well. Of course, she does the fiddle and the dancing. And then Julia is three. I haven’t started her on anything but I call her the best listener of all of them. Very obedient little girl and I just know she’s eager and ready to learn. And then Alec will be two in August – and he is just a fireball, and as a typical two-year-old would be, he’s into everything. And then little Sadie is almost three months old, and she is a lovely little baby. She doesn’t fuss much for anything, and she’s the only one that sleeps through the night. AM: Tell me a bit about the program of your show tonight and on this tour. NM: Well, I love making setlists, and I can stew on them so much. I think I must have made 10 different setlist versions on the way up here today. I’m really excited about playing the summertime festival circuit. 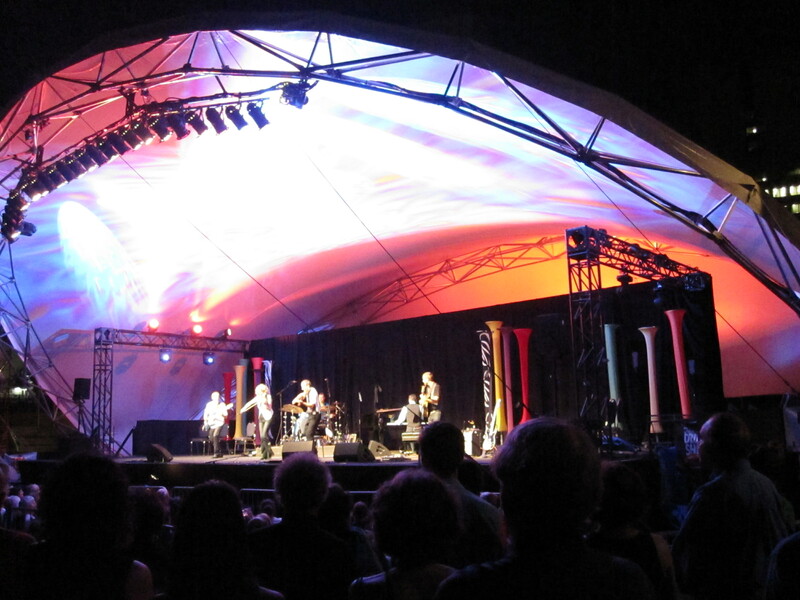 It just gets us out of the indoors, As far as the program goes tonight, obviously I’ll have my traditional Cape Breton music, but it’s a very up show and I just try and make it more about one great groove into the next – just make it flow really well. And my husband, of course, is Donnell Leahy, and he’s a special guest tonight, so he’s doing a few numbers with me. And you might just see a child run out on stage – we’ll see. 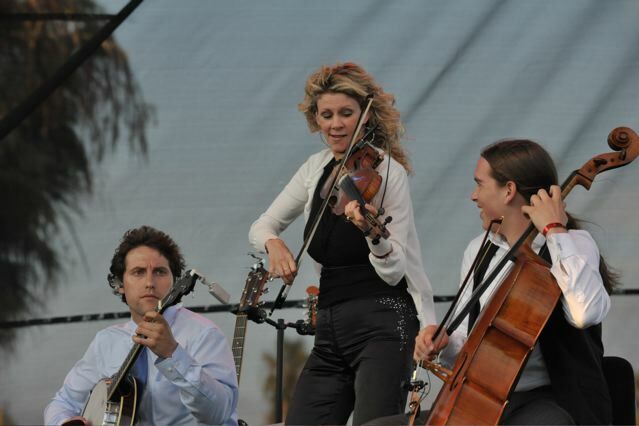 AM: What are some of your favorite fiddle tunes? NM: That’s a really tough one because it changes. I’ve always really liked a tune called “Blue Bonnets Over the Border.” Mark O’Connor wrote a great tune called the “Olympic Reel,” and I’ve been playing that for probably 15 years and I just don’t tire of it. There’s some good old Cape Breton tunes, like the “King George,” and tunes – they’re obscure – I don’t know the names of them. But I think maybe it stems back to my childhood. Every time I hear them I still really feel good. But there’s always a nice ebb and flow of old tunes and new tunes, and the new tunes make the old ones refreshing when you haven’t heard them in a while. And the old tunes make the new tunes very appealing because they are so fresh as well. AM: Do you write any of your own music? NM: Oh, yes, I love writing, but I must say that’s the one hard thing with having kids – it’s just time. Having children is really amazing and so often we only hear the negative. There’s far more positive than there is negative. The negative things are it takes your time from the things that you do, so if I have to practice or write music now I have to plan it, which for the creative juices isn’t always necessarily the way it goes naturally. But I love writing tunes. Donnell and I have written some tunes together, of which one is in the show tonight. 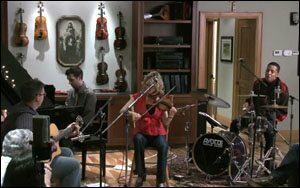 AM: How did you get started on the fiddle and who were your early influences? NM: Well, all the Cape Breton fiddlers were my early influences. 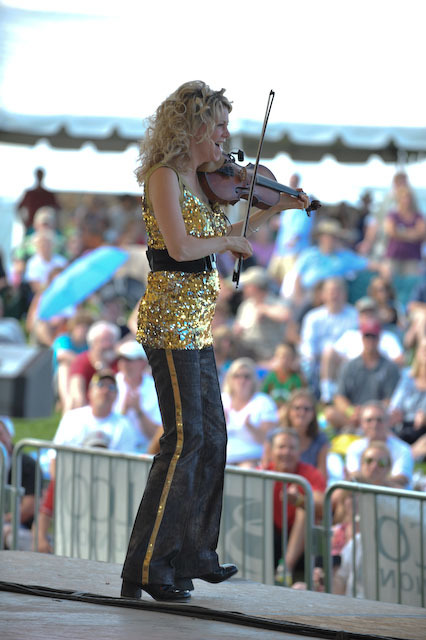 I was just inspired by hearing other fiddlers play and I always have loved the tradition. Growing up there I have two older brothers and they were always into the newest pop music, especially on the heavier side at the time – AC/DC and Ozzy Osbourne, people like this. So I have all those influences as well. And my uncle, Buddy MacMaster, who is going to be 90 in October, was a great influence on my style. I’ve certainly studied his music more than anyone else. “Stop, rewind, stop, rewind” I call it. Back in those days when I was really honing the craft I listened a lot to his style and tried to pick up certain little technical flavors that he had. Mark O’Connor is another guy who has influenced my music. My husband, Donnell, has no doubt influenced my music – more in latter years than those early stages. Donnell is really technically strong, beyond anyone that I know. AM: Out of all your CDs, do you have a favorite? NM: Well, no. The reason I say no is because they’re all so different. As traditional I’m sort of partial to In My Hands because it was my biggest produced record. It was the most expensive, it won the most awards, and it had a little more radio play than I would normally get. 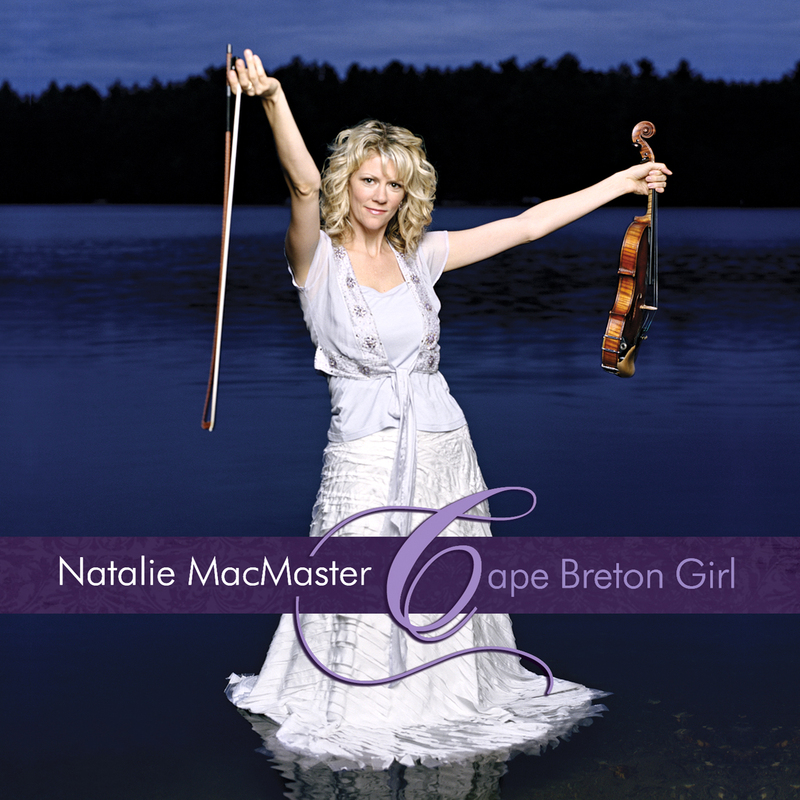 I’m very partial also to the latest recording I did, called Cape Breton Girl. It’s just so close to what I grew up with. 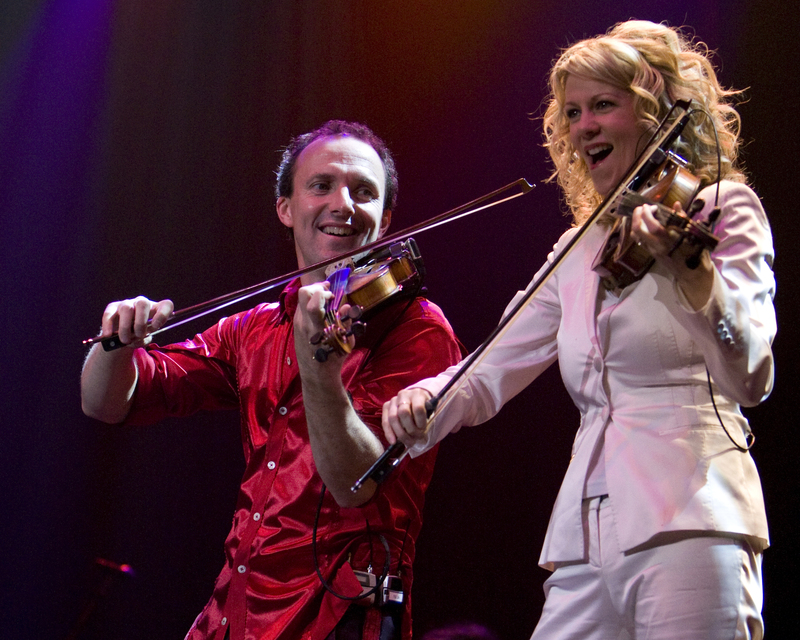 There’s no other music that can move me as much as Cape Breton fiddle style. I can get emotional just thinking about it. I’m proud that I’ve done that record – you know, paying homage to those I was influenced by. AM: How often do you go back to Cape Breton? NM: Well, I’m going there tomorrow. We’re driving tonight after the show, actually. And we have our motorhome and this is part of our vacation – woo, hoo! We get two days. Wow! AM: Are your parents still there? NM: Oh, yeah. And my brothers. When Donnell and I were first married, I was probably there every couple of months. Now I’m probably there twice a year. But I see my parents and my brothers more often than that just through travelling. Or if I have a baby or something, I’ve got family coming in. AM: What’s your daily life like? NM: Oh my gosh, it’s completely nuts. If they ever wanted a real good reality show, that would be me. Mind you, I’d never do it. I can’t even describe how nuts my life is – it’s just crazy. We live on a farm, first of all, so there’s farm life. There’s cows calving. There’s hay that needs to be cut and bailed, and there’s just animals. There’s livestock in our backyard. There’s horses roaming the fields and the hills, so there’s everything that goes with farming – that is more than a full-time job. Then there’s the business of what we do. We’re changing offices, so right now we have our office in our house in a spare bedroom. And we’ve got a lot of traffic of people and calls and emails and everything is going through our house now. And then, in the meantime it’s our home, so you have people and events taking place when you’re trying to have daily home life. And our kids aren’t calm by any means. They are fun and spirited and energetic, and it is non-stop with them, from the minute they get up at six until they go to bed at 10. And then everything from just having had a baby and my husband, Donnell, just tore his Achilles tendon – he had surgery and now he’s in a cast. AM: You’re a very spiritual person. Tell me how that’s evolved in your life and in relation to your music as well. NM: Yeah, I’ve always been spiritual – in particular religious. My family is Catholic. I grew up Catholic and I maintained that same base, and I’m very devout. It’s not like I sought out a religion and learned all there was to know about it or chose anything. Same way as the music, I happened in that environment and that environment formed me and now I love the environment of music. And same for my faith. I happened in the environment of a Catholic family and my environment formed me. My parents formed me, and now I love what it was that they gave me, and I continue that under my own accord and with my own children. And my husband is a very similar story too. AM: Does your faith help you get through hard times? NM: Oh, absolutely. Because I really do believe. Our little baby Sadie was just born with Down syndrome and that was a real shock, you know. As soon as we found out, a few minutes later we’re sitting there like a balloon was deflated, and I said to Donnell, “She’s exactly what we need.” And I said that because I felt it must be true, but I didn’t feel it. I knew how I should feel but I didn’t feel like that, but I did rely on my faith to guide me. God doesn’t make something that doesn’t have a purpose, and I’m in love with the fact that he gave her to us for his purpose, whatever that is. And already, after her only being three months old, I wouldn’t take her any other way. She’s just a doll. I don’t know what her capabilities will be, but my goal for my children isn’t that they become superstars playing music. My goal is that they have music running so richly through their mind and through their heart and through their bodies. Because I know what a great gift music is. My mother never played any instruments and she is so full of music and that’s what carries her though life. So I hope those things for Sadie. She doesn’t have to be a star. She just has to be her, and I hope that she gets the gift of music, and whatever she is, we absolutely adore her and I’m very proud to be her mom. AM: Other than touring, do you have any other projects coming up? NM: Yes, Donnell and I have been married for 11 years, and it’s terrible, when we go do shows together, there’s a Natalie MacMaster CD or there’s a Leahy CD, there’s not both. And so this September we have our studio time booked and we’ll be doing our first recording together, which I’m so excited about. AM: How do you feel up on a stage when you’re playing and when you see the audience’s reaction to your music? NM: It’s a unity. You just feel like, “Wow, I’m so lucky that I get to deliver this energy, that I get to deliver this joy. You know, when you see people enjoy music that much, you know that the world is good. It’s kind of a group effort. It’s not just one person making it happen – it’s everybody making it happen. You need that in life to carry you through. There’s all sorts of trials in life – ups and downs, and you have to have those moments where you feel the good in the world. Otherwise, what’s the point? I’m very honored that I’ve been given the gift to be part of that team – making the joy, spreading the music. 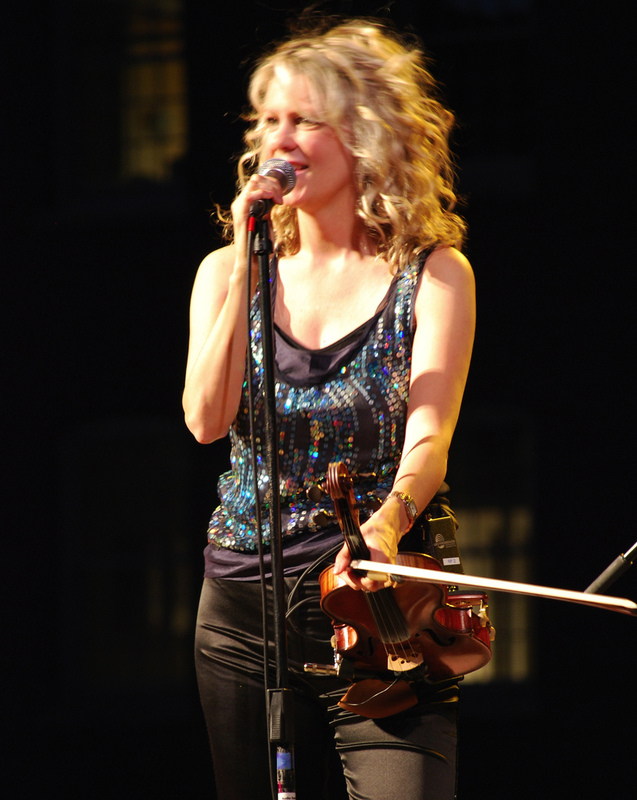 For more information about Natalie MacMaster, please visit nataliemacmaster.com. 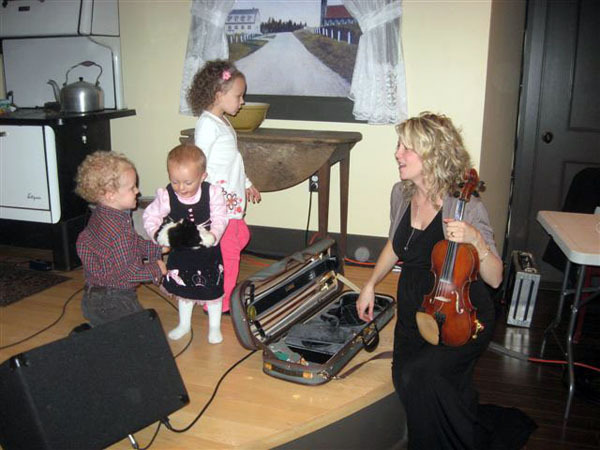 This entry was posted in MUSIC and tagged Canadian fiddle, Cape Breton Aire, Cape Breton girl, Colorado Irish Festival, Donnell Leahy, In My Hands, interview with Natalie MacMaster, Juno Award, Kenny Kanwisher, Masters of the Fiddle, Natalie MacMaster, Natalie MacMaster children, Ottawa Jazz Festival. Bookmark the permalink. Loved this interview Anita. She seems really down to earth and sounds like an amazing woman. Six kids????? WOW!!! Thanks, Kim. Natalie is definitely an amazing person, and she was very gracious and easy to interview, especially considering she was preparing for a show that day and had her kids with her. 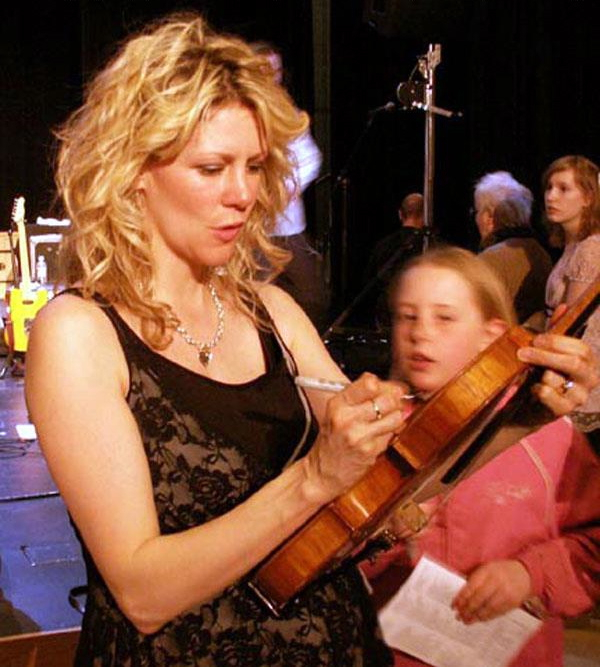 I just now found this on the ‘net, and HAVE to say I’ve known Nat Mac personally since I had her for a fiddle Instructor at Mark O’Connor’s Fiddle Camp in Dixon, TN way back in 1997, 98, and 99 and again at his String Conference in San Diego, CA in 2003! She IS an amazing person and just as down-to-earth and sincere as they come. She is a great teacher as well as a great musician and one can’t say that about very many musicians! 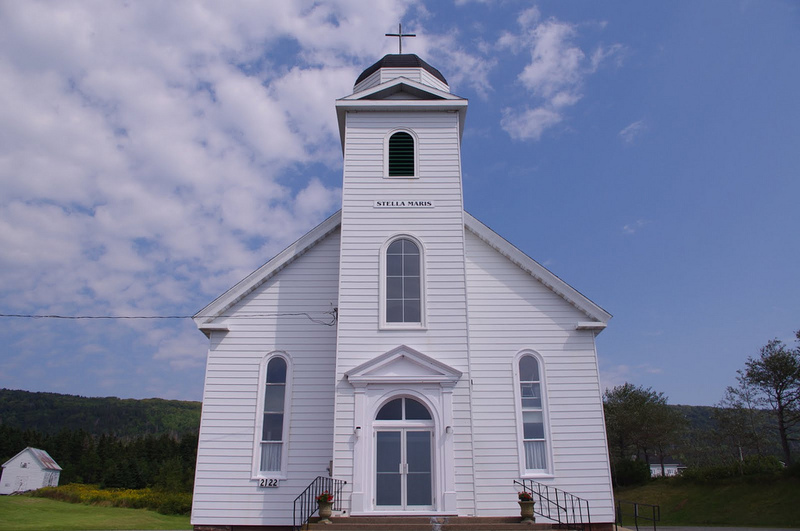 Her personality has been shaped, I think, by her up-bringing in the small village in Cape Breton, her family, and ESPECIALLY her faith! I can’t say enough good things about her. 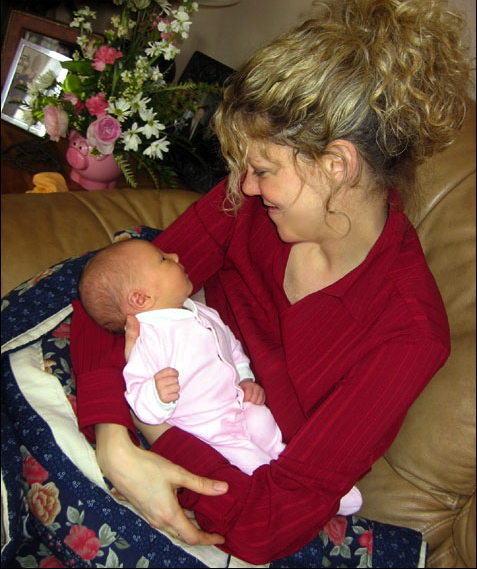 The fact that she is such a loving, devoted, wife and mother comes as no surprise – and, though I was saddened to learn that little Sadie, child number 6, has Down Syndrome, I also was not surprised that she took the news as “good news” and that her faith is what allows her to have the attitude she has about Sadie. 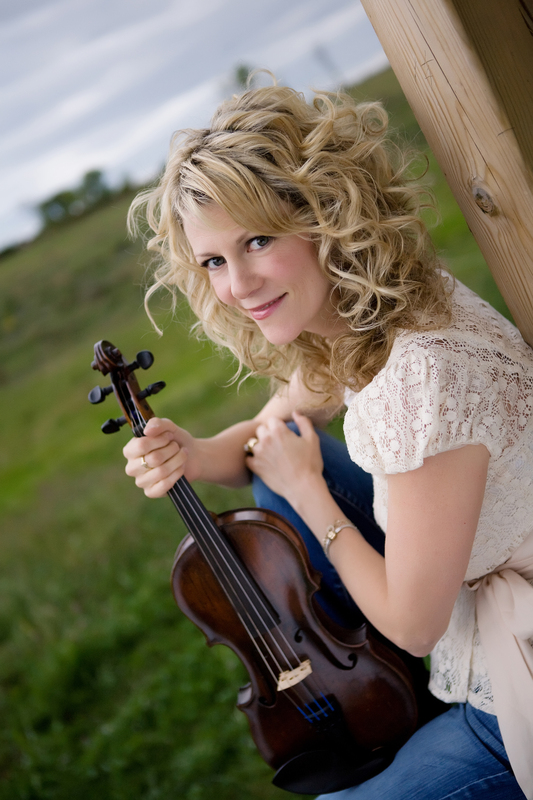 Natalie MacMaster is one of God’s masterpieces, and so is Sadie, and we’re SO blessed to have Natalie’s example of what it means to be a willing vessel for God’s purposes in our lives today. What better role model can be found anywhere else these days? Thanks for doing this interview and for putting it on the worldwide web! Thank you so much for your lovely comments. I am grateful to have been granted the interview, and to have met Natalie. Just love this family. Hope to hear them in LaCrosse in November. My wife and I just experienced the magic last night when we attended A Celtic Family Christmas with Natalie, Donnell, and their 5 oldest children at Hancher Auditorium in Iowa City, Iowa USA. We agree that it may have been the best performance we have witnessed. All 7 of them were fabulous and I just had to know more about them. Your interview was great and Natalie’s strong faith comes as no surprise. A highlight of the night was when Donnell invited the audience to sing a the first verse of Silent Night with them. The audience did and it was very moving. Thanks again for providing some additional insight on this fantastic lady. Thanks for writing, Bruce. It’s great to hear how Natalie, Donnell and their children are still bringing joy to audiences all over North America.